I really felt the need to do something outside the box, so I tipped the box and made an upside house! 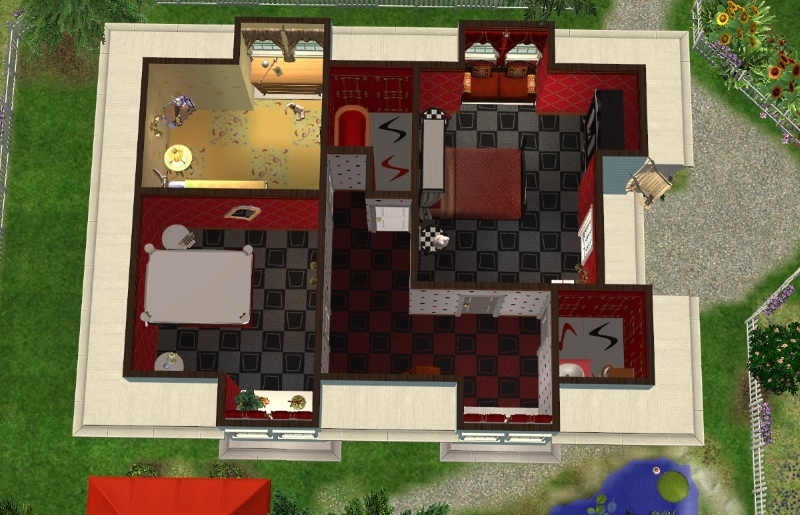 This has a TON of omsp's, you may want the omsp controller http://modthesims.info/d/324383. And a wee warning, be very careful picking anything up as you will probably pick up parts of the roof without meaning to. 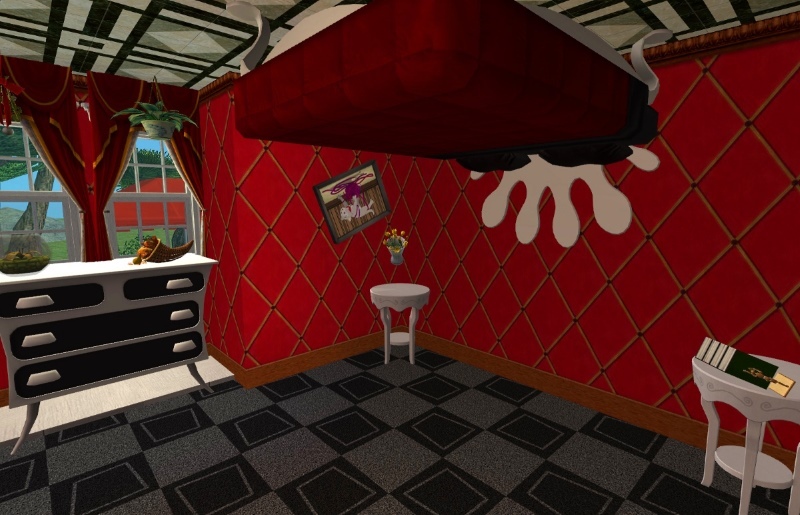 Included in the zip file is the invisible spiral stair recolour by the wonderful amazing and talented CelebKiriedhel and the script for Cyclone Sues invisible modular stairs. You will need to put the script into your scripts/stairs folder. 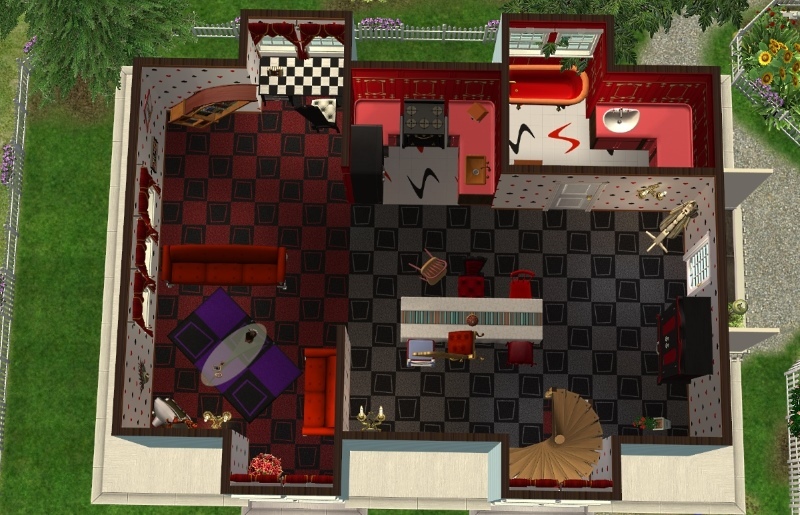 Believe it or not but from testing, everything works in this lot!, well apart from the upside down bed which is a deco bed (another supplied by the wonderful amazing and talented CelebKiriedhel) but everything else such as the floating chairs, slanted bookcase, the dollhouse even the rubbish bin and mailbox all works with no cheats. Be not alarmed when you first move a sim into the lot and once they get out of the car, and the car drives slant ways into the ground! Its just going the same way the mailbox is! 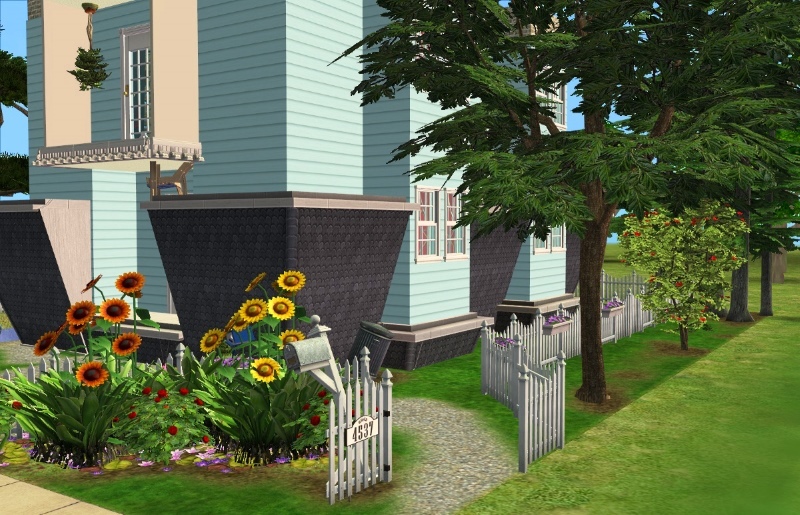 There are invisible stairs to get into the house, and sims just walk through the deco door. Invisible staircase to get to the top (or is that bottom) the staircase upside down is just deco and not usable. 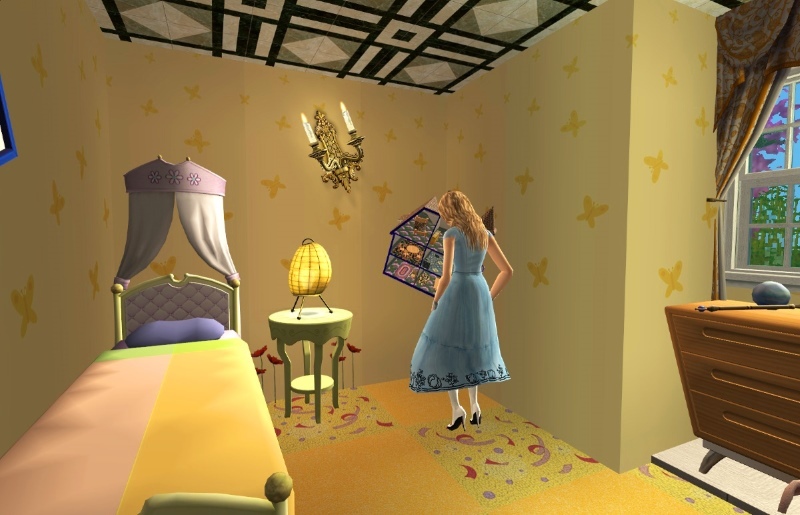 I ended up going with sort of an Alice type theme, I had downloaded oodles of great Alice cc to go with it, but decided I wanted the extra challenge of making it no cc (apart from the teeny amount there is). I think thats all, happy playing, enjoy the Mad Hatters Tea Party! Kiri for the dec stairs, invisible recolour and upside bed, you're awesome!